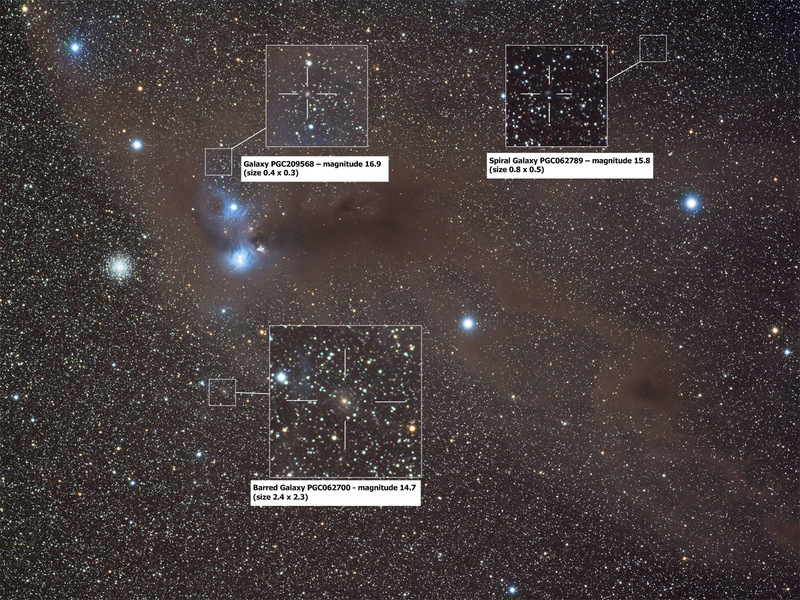 Comment	 Located within the small and faint constellation Corona Australis (CrA, Southern Crown), a magical dust cloud graciously sweeps through this scene, harbouring numerous star forming regions. Visible are the magnificent blue reflection nebulae (NGC6726, NGC6727 and IC4812) produced from young, hot stars reflected by the clouds of surrounding cosmic dust. It's estimated that the nebulae is around 420 light-years distant. Near the two blue reflection nebulae is a small yellowish arc (NGC6729) which marks the location of the erratic variable star R Coronae Australis. This star is accreting interstellar matter and would appear to be the source of two tiny red patches indicating active stellar creation. The grand globular star cluster (NGC6723) is seen below and left of the nebulae. It resides nearly 30,000 light-years away, well beyond the Coronae Australis dust cloud.